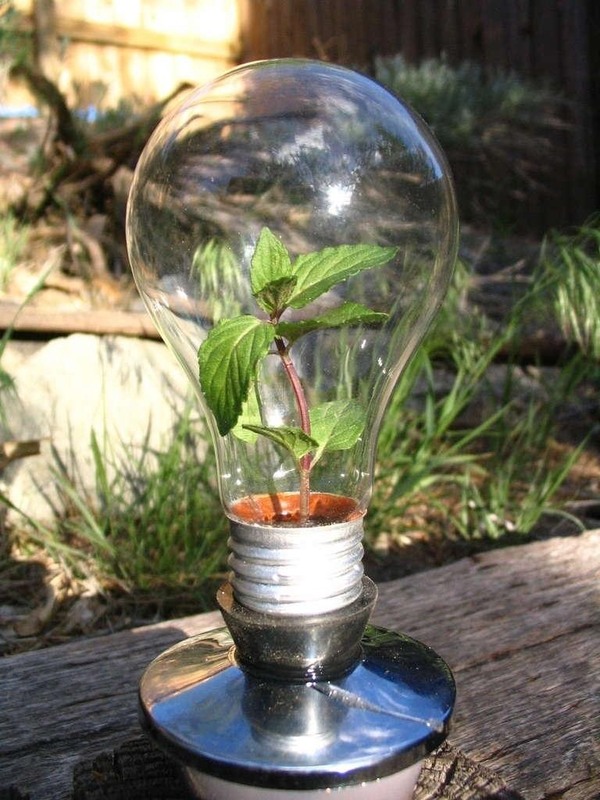 The next time a light bulb burns out in your house, don't throw it out. 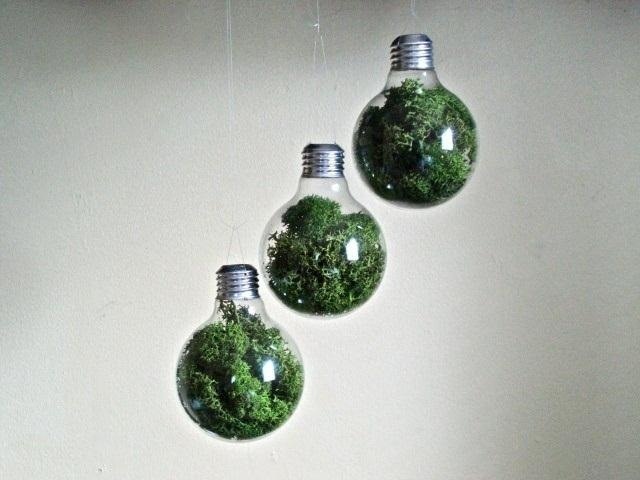 Believe it or not, burned out light bulbs aren't entirely useless. 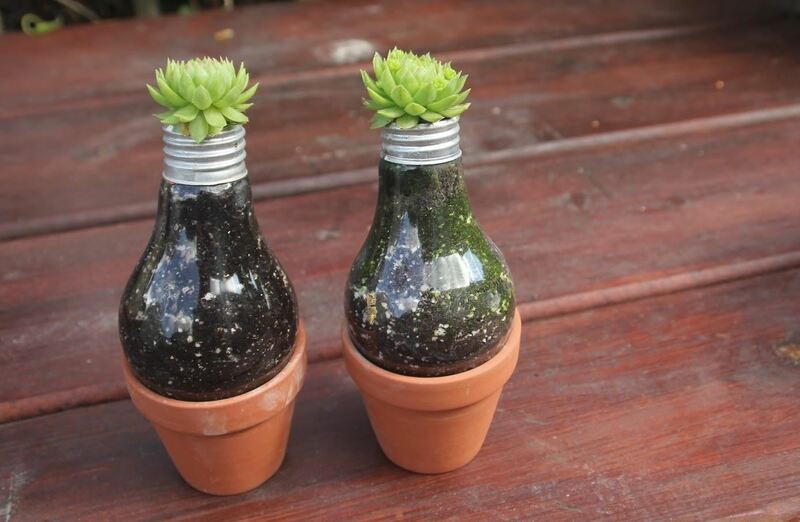 Besides creating an extra task on your to-do list, they can be hollowed out and used for a variety of different things from home decorations to miniature indoor gardens. 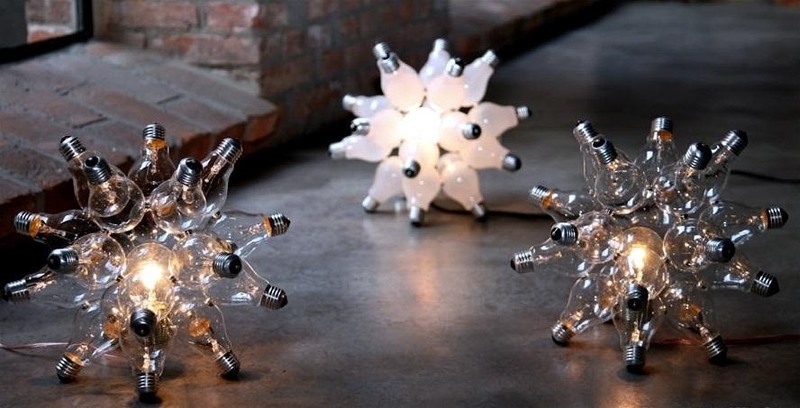 Interested in turning your own junk light bulbs into something creative and useful? 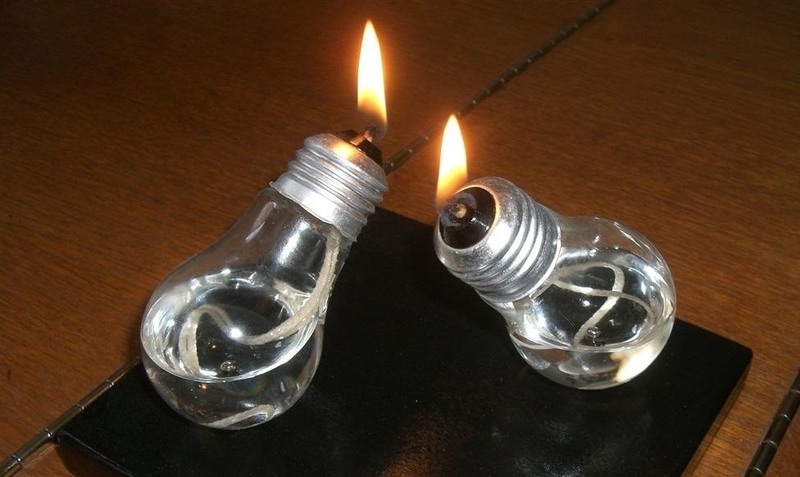 First, a quick tutorial on how to safely hollow out a light bulb. Now, here are some of the most innovative things you can do. 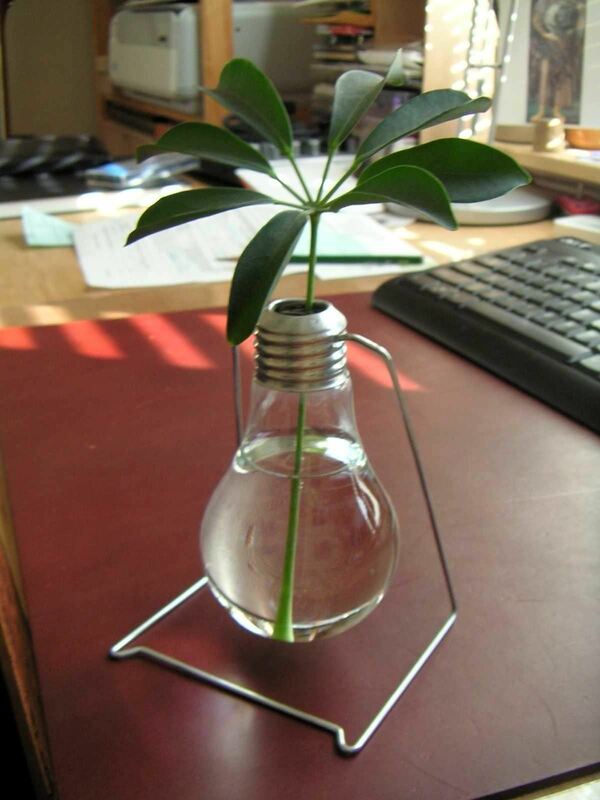 You can grow a variety of small plants in a light bulb, almost like a mini greenhouse. 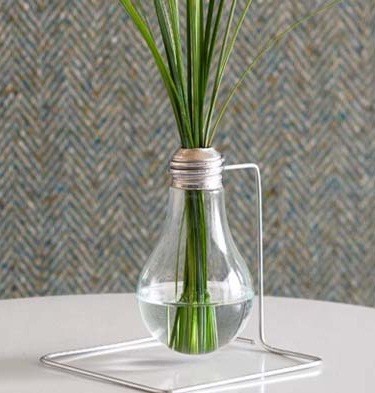 If you don't have a green thumb, just use it as a vase. 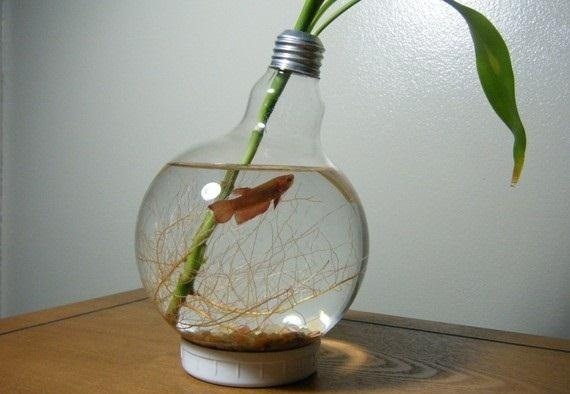 You can use a regular size light bulb to make a home for a tiny fish, or bigger one for a mini aquarium. Or maybe a bunch of hanging ones. 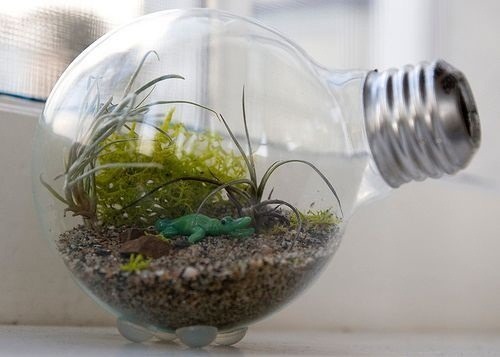 A larger one also makes a great DIY terrarium for a small reptile. 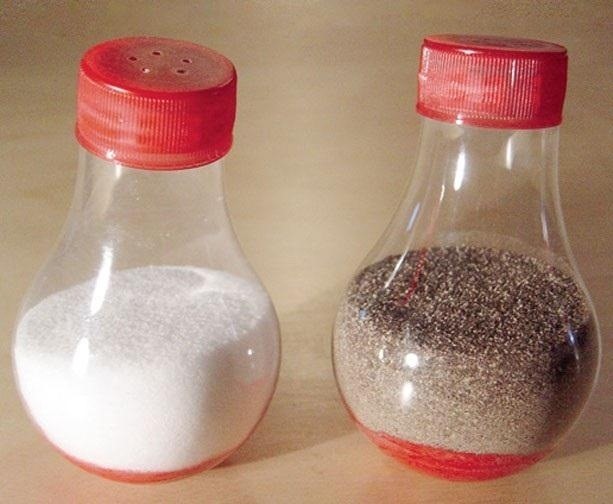 Poke holes in the cap from a soda bottle to make your own salt and pepper shakers; a 16 oz. 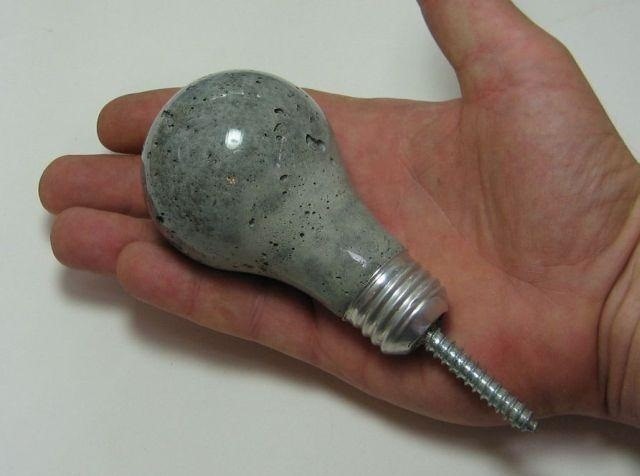 bottle cap is the perfect size for a standard light bulb. 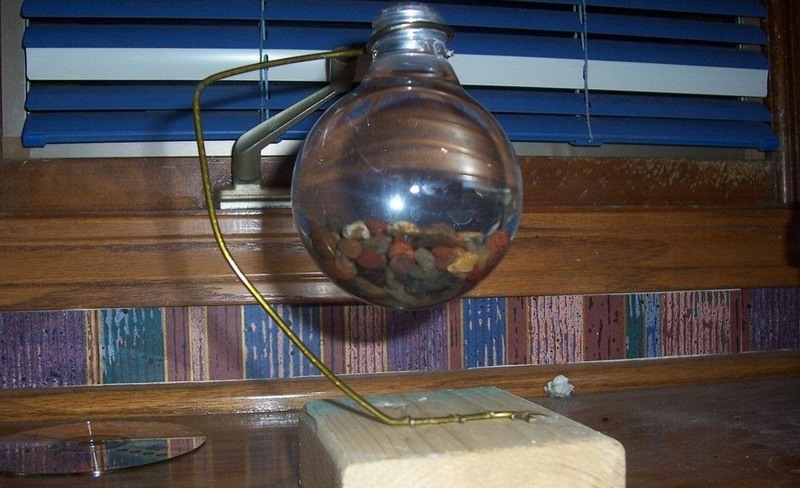 This one may not be very far off from the original use, but you can make tons of cool lamps and light fixtures with light bulbs, like a simple DIY oil lamp. Okay, so it's not a bottle, but close enough. You could also try something a little different like a submarine or tiny scuba divers if you're feeling creative. 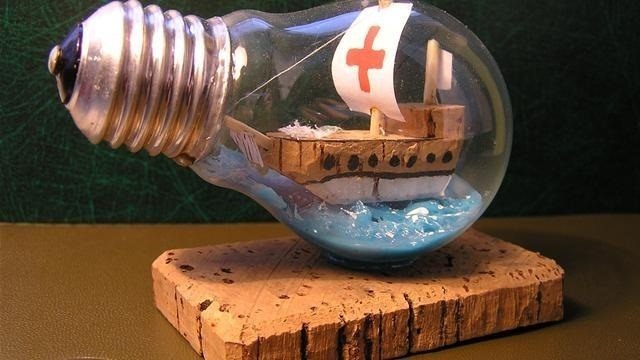 If you want to make your own, here's a ship in a light bulb tutorial. 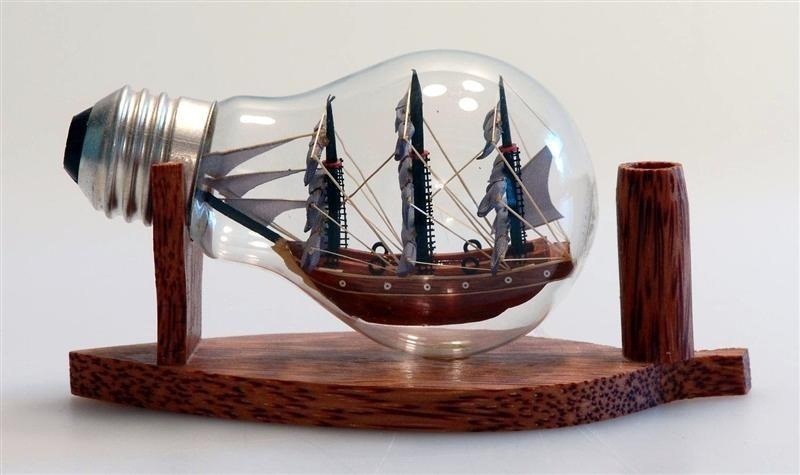 What other "impossible light bulb" scenarios can you come up with? Tired of using the same old hooks for hanging your coats and hats? 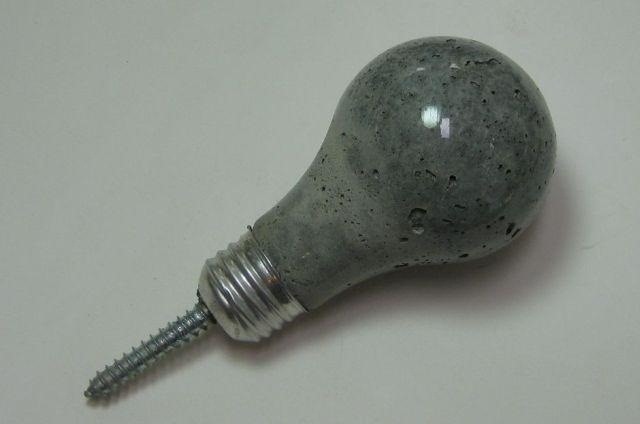 Try pouring some concrete in the old bulbs and turn them into sturdy wall hooks. 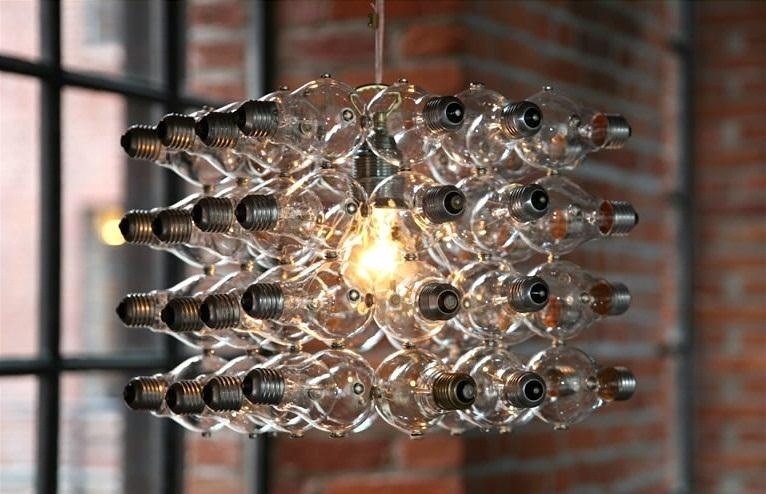 As you can see, the possibilities for old light bulbs are nearly endless. Do you have any other ideas? If you've done a similar project, show us how you did it! 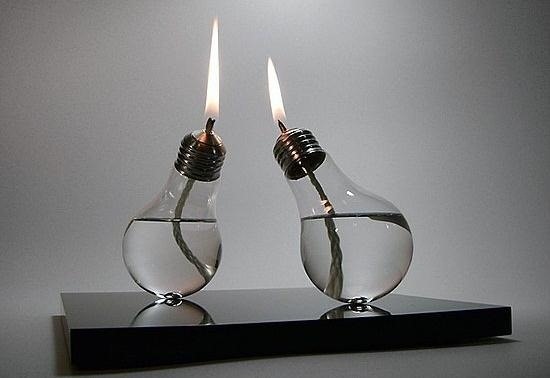 Only real problem with using a light bulb for these things is that a light bulb will break easily; and also most light bulbs are not transparent. 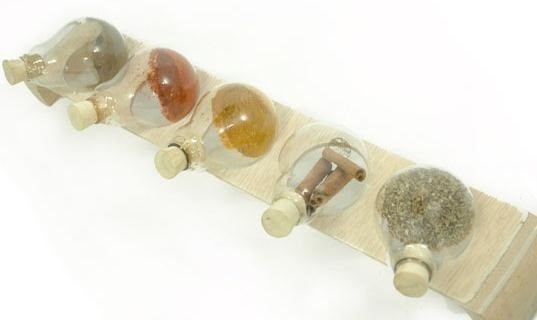 Kudos nonetheless, as these craft tips are quite nifty! You can remove the kaolinite frosting pretty easily with a paper towel. I never tried myself though. Ok s how do you get a hole in the lightbulb and also how do you get the insides out?